12 Weeks to a stronger, happier family? Who wouldn’t want a stronger family with more peace, joy and love? I know; silly question. My family life isn’t awful. In fact, life at the Leslie household is usually pretty good. But it could always be better. Like most families, we have our challenges and our, umm, moments. We definitely have some room for improvement here. 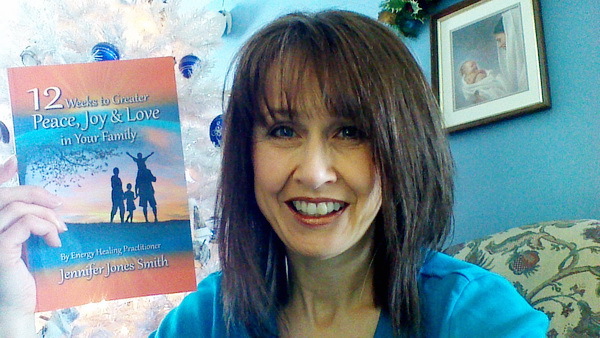 So when one of my great blogger friends introduced me to Jennifer Jones Smith and her new book 12 Weeks to Greater Peace, Joy and Love in Your Family, I was all ears. Jennifer is a Simply Healed practitioner with more than 25 years of experience in child development, in addition to being the mother of six children. Jennifer is a specialist in energy healing and was led to create an energy healing program that would support the whole family. The result of her work and experience is 12 Weeks to Greater Peace, Joy and Love in Your Family. The goal of this book is to empower families with deeper connected relationships, cooperation, harmony, understanding, respect and trust. Although the outside world influences children, the home is where the foundational experiences and teachings occur. Although children often appear to ignore or disregard the teachings and examples in the home, especially teenagers, this is where the biggest impact for a fulfilling life is created. Healthy homes naturally create a healthy neighborhood, city, state, country and world. After some emailing and learning more about Jennifer I was blessed to receive a copy of the book to read and apply with my own family. Though we haven’t gotten all the way through yet, we have already begun to implement some changes based on the reading we have done. This book is written in a clear and straightforward manner. 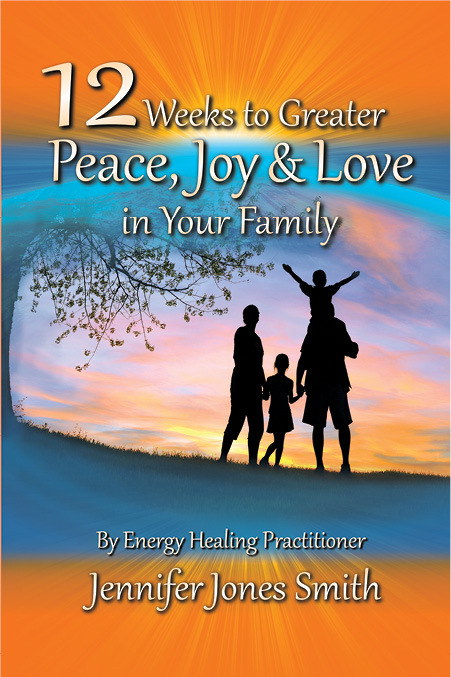 It is easy to read and each section titled by week comes with assignments and activities designed to emotional clarity and positive energy to your family. I have to admit that for me, the Preface was one of my favorite parts of the book. Reading about the hows and whys of this book helped me to identify an issue that has been holding me back for some time. Now that I know what it is, I can begin working to overcome and resolve that issue; being able to recognize it has already reduced my stress surrounding it. I know it’s a process and I have a ways to go, but this will definitely bring more joy to my family. Seeing how this method is working for this one issue gives me great hope that we can use it to overcome other issues as well. The first assignment involves practicing gratitude. I think that is the perfect start and best foundation for making positive changes in our lives. The assignments are simple and very do-able, though for them to be effective, you do need to put some thought and effort into them. I am definitely looking forward to more of the positive results we have seen so far as we continue our journey through the book. Like Jennifer, it is my hope that you WILL experience more peace, joy and love TODAY and every day. A PDF copy of this book was provided to me for review and my opinions are always just mine. P.S. One of the bonuses will be an incredible Telesummit featuring 6 experts addressing issues and challenges that families are facing. The Telesummit experts will share valuable tips, stories and gifts to empower your family with greater peace, joy and love. It’s IMPORTANT and required to go to this link after purchasing your book on Amazon to claim your bonuses on February 5th, 2014.